Images and thoughts found at Fort Funston California. So, instead of painting myself into a creative corner I’ve decided it’s time for Found@FtFunston to hit the road and find some F@FF out in the wide world. To describe in words or pixels such a color as pink. 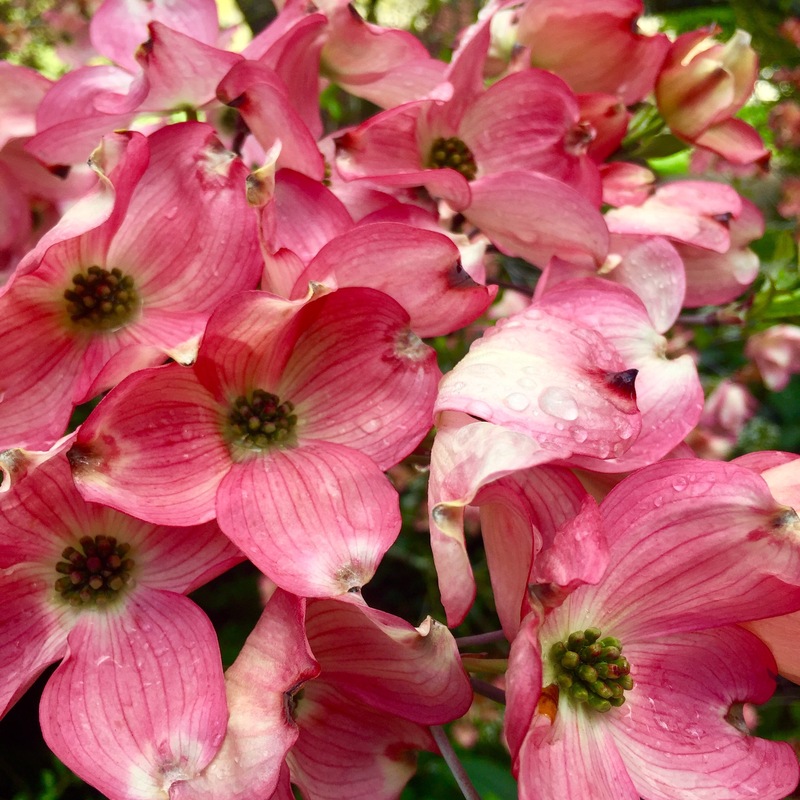 I submit this shock of Dogwood blooms, bursting riotous and outrageous, like an unruly neighbor into the view of all lucky enough to stumble across them. When I found this pack of pink revelers in Lithia Park a tune by Aerosmith popped into my brain and there it remained. My own personal inner pink soundtrack. Pink as a flamingo, pink as Spring time, again.